My saga continues as I try fixing the constant disconnection issues with my PLDT uLTEra connection. 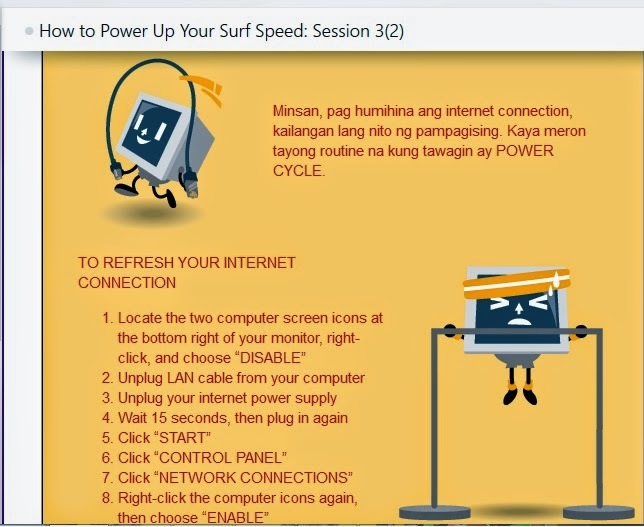 According to PLDT's email this is how we can speed up the internet connection. I have come to a point that the indoor modem should be replaced with an outdoor type thinking that this would resolve the disconnection issues. Please do not try my desperate moves below, this is intentionally done to fry the modem. I'm only sharing it so that you don't have to perform the same steps. Desperate move number 1. Plugging in my laptop's power adaptor rated 19v at 3.4A on purpose to fry the circuit board of the modem, and have it replaced with the outdoor type modem, to my dismay the thing still works fine even though the adaptor that came with the modem/router is only rated at 12v at 1.5A. I left it plugged in with the higher rated adaptor for 30 minutes and it's still working. Desperate move number 2. Restoring the router firmware of the modem, and in the middle of restoration I removed the power cable. I was amazed that the Gemtek WLTFSR-115GN modem is still working after plugging it back. I kept on checking the router settings and came across with MTU settings. Currently it's on 1400 and based on the KB article of Linksys. "The Maximum Transmission Unit (MTU) feature of your Linksys router is an advanced configuration that allows you to determine the largest data size permitted on your connection. Generally, if your MTU is too large for the connection, your computer will experience packet loss or dropping Internet connection." How to check the correct MTU settings of your PLDT Ultera. 3. 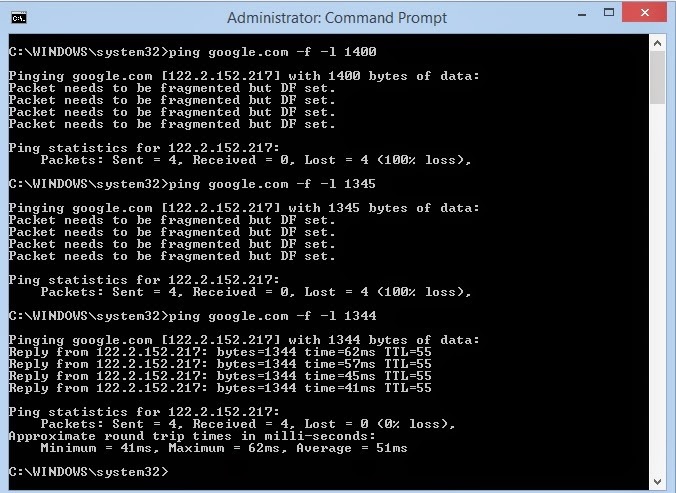 Keep on running the ping command until you get the correct MTU value by getting a reply on the website. 4. Once you have the value add 28 to it so it would be 1344 + 28 = 1372 that would be the MTU settings for the router. After adjusting the MTU settings of the router I think that the disconnection issues has lessened. This is based on my personal experience or maybe PLDT has done some changes on their settings to make the connection stable. 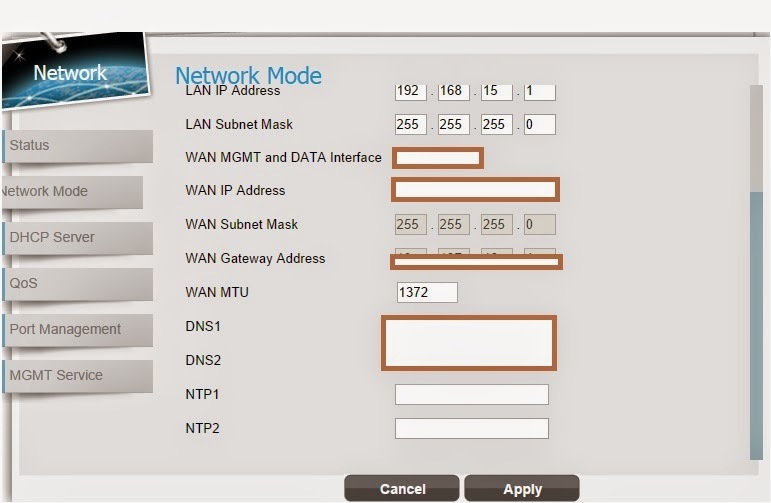 You can also try changing the MTU settings of your router and see if the performance will improve. 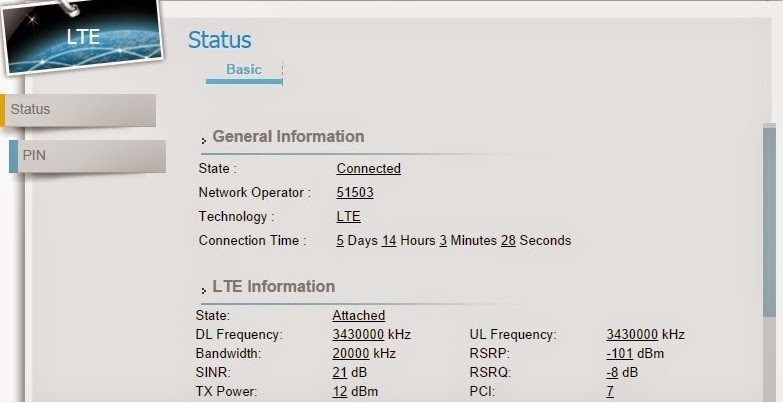 The screenshot below shows that my router has been connected for more than 5 days straight no disconnection and power cycle is not needed. As for the capping and utilization our consumption is around 40GB / month, and the speed is around 1 Mbps even after reaching the cap. Location might be the key in having a good wireless broadband connection and as of now this looks pretty stable for me since the base station is near my area. The technology is new and I'm giving it a chance to reclaim itself besides we don't have any alternate options for now. source: Linksys KB about MTU. nice sir.. pwede ko po ba gayahin dn MTU mo? hehe lagi2 dn kc ako naddc kakapagod na magtawag lagi sa 1888..
sir nilagay ko sakin is 1280 ok lang ba un? kung na ping mo yung website using that values malamang ok lang siguro yan. Pero mas maganda siguro kunin mo yung mas mataas na value kasi pag may data size na pumasok na mas mataas dyan baka ma dc ka din. Sawa na din kasi akong tumawag 30 minutes halos bago ka maka connect sa tech support. sir effective sya hehe.. dati hanggang 12hrs lng ako connected. ngaun halos 16hrs na hehe... sir may tanong pla ako anu admin pass ng ultera? pwede ba sya inuncap? username: homebro password:hombero di kasi ako gamer sensya na di kita matutulungan pagdating sa league of legends RTO issue. I'm getting frequent disconnects and reboots with my Gemtek wltfsr-115gn, and just wonderinf if you knew where I could get a firmware update? I'm currently on 01.01.02.029, if you happen to know if there's a later version? Thanks for dropping by. I'm also looking for the latest firmware and even in the Facebook page of Gemtek firmware is not available. I would also want to update because of the limited settings that I'm seeing with the router. HI! 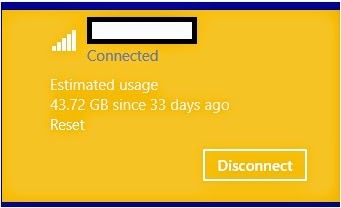 ask ko lang what software did you use to know your net consumption? Thanks for the reply! sayang, I only have Windows 7..
Btw, since you have been using Ultera for a while now, wala bang other ways to know ung overall usage sa kanila (e.g. website/account monitoring). Kasi with networkx and that built-in software, hindi kasama ung usage via wifi.. ? Sinubukan ko yung networkx mukhang ok naman kasi meron ka option kung ano yung gusto mong connection na I monitor at nakalagay din kung ilan na yung usage mo at pwede mo din set yung cap. pano po makita ung username and pass.? Monthly or daily ba ang capping nang ultera?, And also madalas ba siyang Mag DC? Daily ang capping, madalas ma dc depende sa location, karamihan sa complain is mabagal at di umaabot sa speed na binayaran. Pwede mo din check yung artilce namin dun. YUng modem ko kasi Indoor type kaya magkaiba tayo ng GUI. Try mo na lang hanapin kung may makikita kang MTU tapos try mo din laruin. sir ako di maka log in sa interface ng ultera gusto ko sana magpalit ng password kaso ayaw padin ginamit ko homebro as user name at pass kaso ayaw padin ayaw din. ayaw din madisable yung net sa properties ng network parang nilock ata nung technician tumawag ako CS kaso wala padin, salamat sa guide master try ko pag uwi ko ^_^ or else termination of service na to .